Australian motorsport icon Craig Lowndes will spearhead YNA Autosport’s McLaren GT-supported effort at next year’s Liqui-Moly Bathurst 12 Hour. For YNA, it will be the start of a planned international motorsport campaign for 2018, which will include selected overseas events. Lowndes will be joined by fellow Supercars champion and Triple Eight Race Engineering team-mate Shane van Gisbergen, and French factory driver Côme Ledogar at the wheel of the McLaren 650S GT3. The all-Pro lineup boasts a total of 11 wins at Mount Panorama, including seven Bathurst 1000 victories and four at the Bathurst 12 Hour, including the last two iterations of the event. It will mark Lowndes’ first appearance in a McLaren 650S GT3, and van Gisbergen’s return to the car in which he set the Mount Panorama lap record with in the 2016 event. “The Bathurst 12 Hour is one of my absolute favourite events, so I am delighted to have the chance to defend my win in 2017 but in a McLaren for the first time,” said Lowndes. “I’m excited to be back in a McLaren for the Bathurst 12 Hours,” added van Gisbergen. “It’s good to team up with Côme again, I drove with him in 2016 when we won the Blancpain Endurance Series in a McLaren 650S GT3, and driving with Craig to help him defend his 2017 title. Completing the lineup is Ledogar, a winner of 2016 Blancpain Endurance Series with van Gisbergen for McLaren. Ledogar finished third for McLaren in last year’s Bathurst 12 Hour, and claimed two wins in the International GT Open series in Europe in 2017. 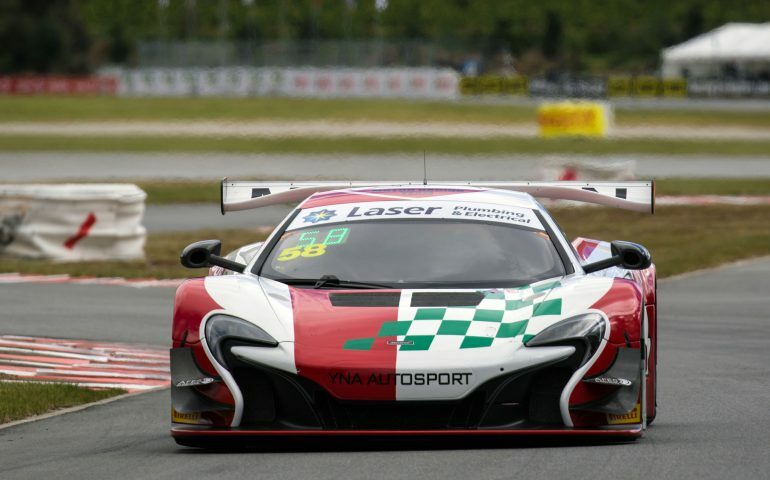 He also shared the YNA Autosport McLaren 650S GT3 with Fraser Ross at the opening round of the Australian GT Championship, and again at the Formula 1 Rolex Australian Grand Prix. The McLaren 650S has proved one of the most successful GT3 cars in recent years, winning multiple Australian Championships, the 2016 Bathurst 12 Hour, and achieving considerable success in both Europe and the United States. Powered by a McLaren developed twin-turbo eight-cylinder engine, the McLaren 650S GT3 has re-established the British marque as a force in sportscar racing, building on the winning heritage started by founder Bruce McLaren in the early 1960s. The 2018 Liqui-Moly Bathurst 12 Hour takes place on February 2-4, with live free to air television coverage across Australia, and live streaming available to fans globally.